Variants of the GNU operating system, which use the kernel Linux, are now widely used; though these systems are often referred to as "Linux", they are more accurately called GNU/Linux systems. 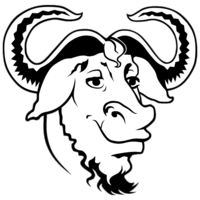 To find out what the GNU community is doing nowadays, you can visit this large unofficial GNU Forum hosted by Nabble. This forum archives many GNU projects' mailing lists into a forum for easy browsing and unified search. It has a fairly complete list of GNU projects. You can drill into each project to browse, or search the postings by keyword and see what the GNU people are talking about. This page was last edited on 11 November 2007, at 14:24.